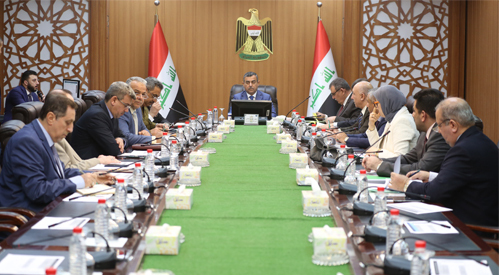 The Joint Strategic Dialogue Committee between Iraq and the Gulf Cooperation Council (GCC) discussed the general framework of its comprehensive executive plan for the years 2018-2023 in preparation for submission to the Council of Ministers for approval. The Secretary-General of the Council of Ministers d. The strategic dialogue is a key factor in developing cooperation horizons in the fields of joint action and strengthening the working ties and cooperation between Iraq and the countries of the region, especially after the great step that Iraq has made in developing its regional and international relations. He pointed out the importance of including the cooperation in the fields of Achieving sustainable and environmental development. The committee reviewed the comments of the sectoral entities on the draft general framework of the plan and its adaptation to the GCC plan on activating sectoral cooperation in the fields of politics, security, economy, investment, education, culture, youth, sports, industry, transport and energy, as well as agriculture and tourism).